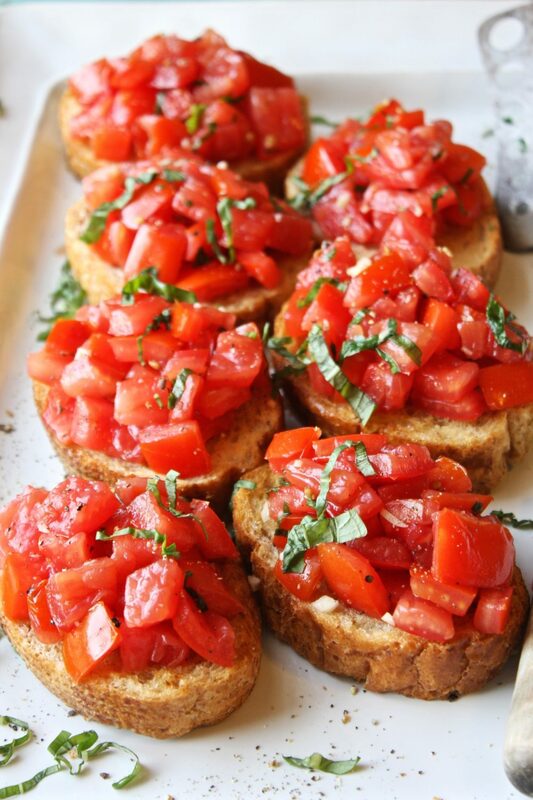 The Garlic Diaries literally has the Perfect Bruschetta you can make for your Valentine’s Day celebration. Get the recipe here. This appetizer oozes delectable flavor! 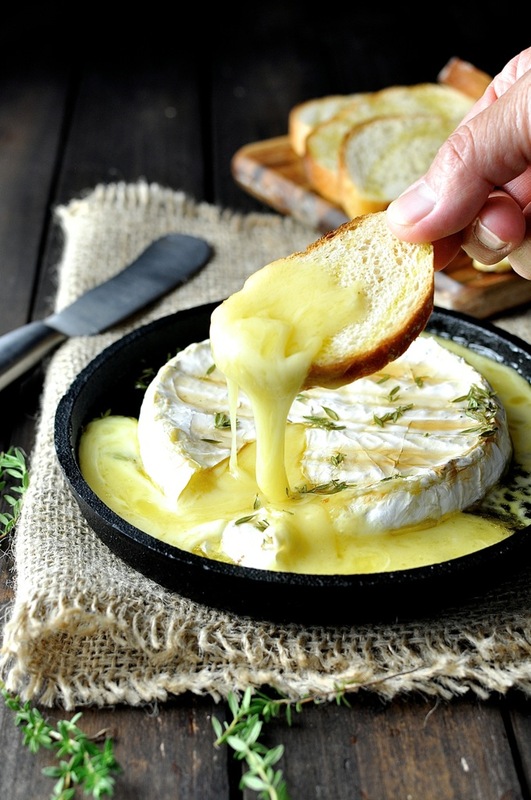 Baked Brie with Maple Syrup and Thyme is a dish that will tingle your taste buds. Check out the recipe here from Recipe Tin Eats. 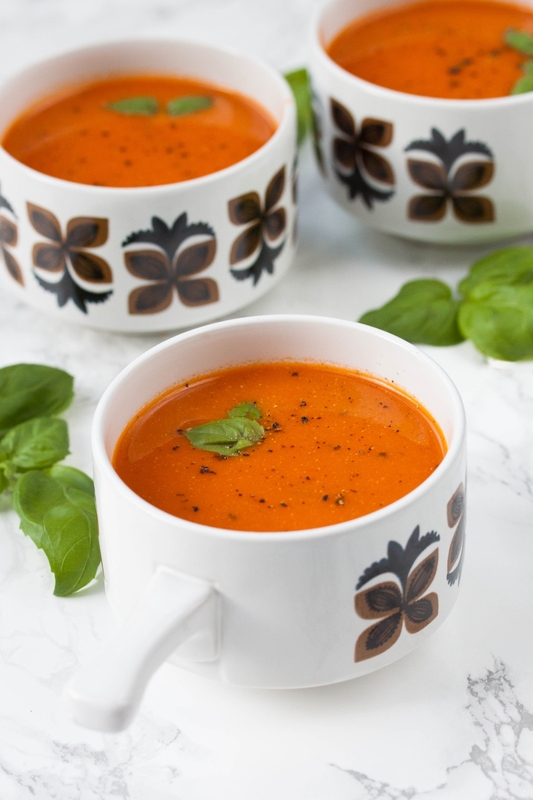 The Greedy Vegan’s recipe for Rich Roasted Tomato Soup is perfect for the chilly Valentine’s Day weather. Read more about the recipe here. Nothing beats a good surf and turf! 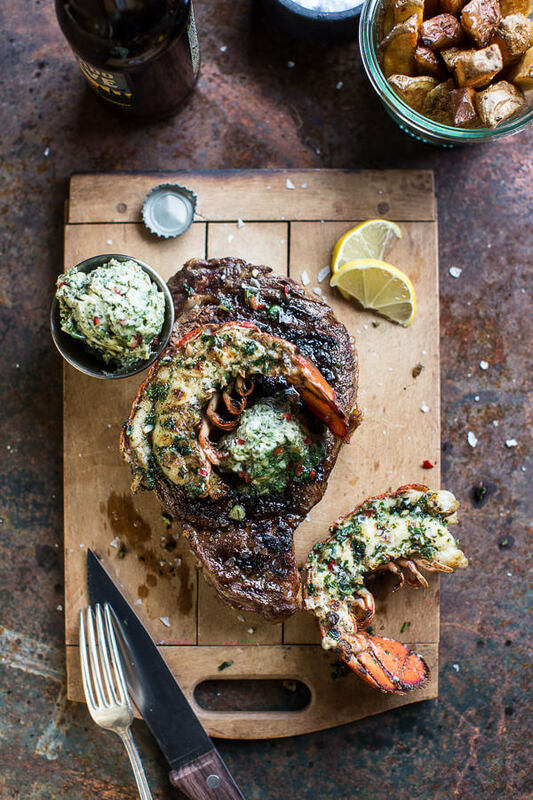 This Steak and Lobster with Spicy Roasted Garlic Chimichurri Butter recipe is a hearty recipe you’ll want to eat year-round. Get the recipe here from Half Baked Harvest. 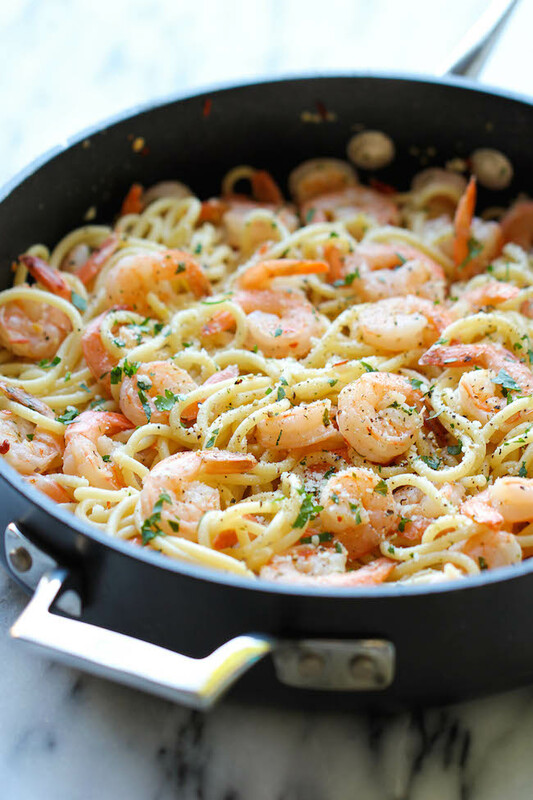 Delicious is the only way to describe this super Easy Shrimp Scampi recipe. Check out this classic recipe from Damn Delicious on her blog here. Put that winter citrus to good use! 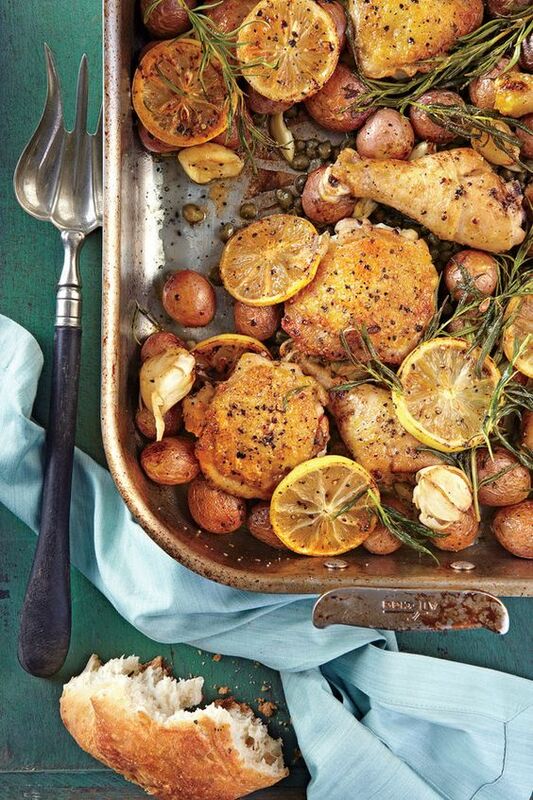 This Lemon Rosemary Garlic Chicken and Potatoes recipe is chock-full of luscious flavor. Find the recipe here from Southern Living. 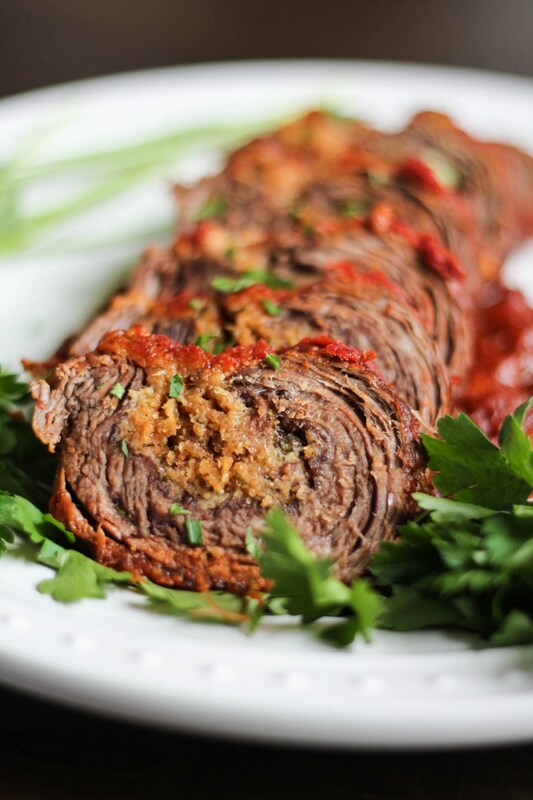 If you’re feeling super fancy and confident in your culinary skills, give this Braciole a try. Get the recipe here from The Kittchen. 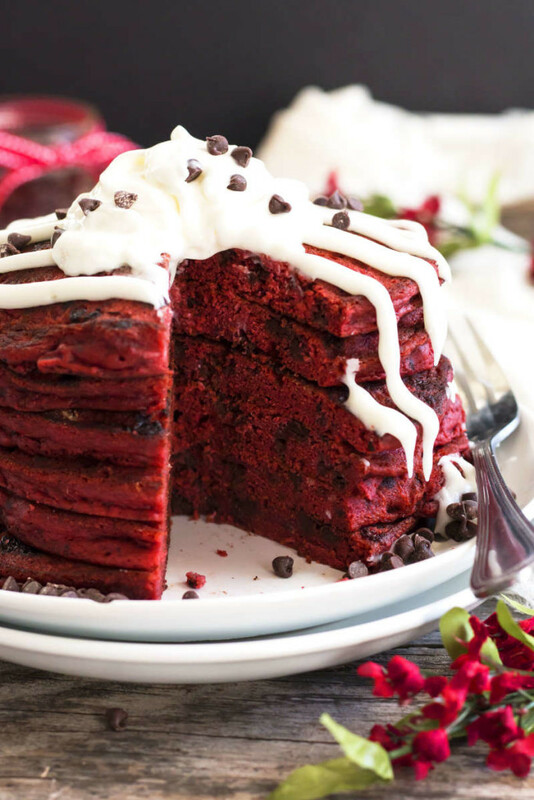 If breakfast is more your style, these Red Velvet Chocolate Chip Pancakes will do the trick! Check out the recipe here from Gluten Free with LB. Some sweets for your sweetie! 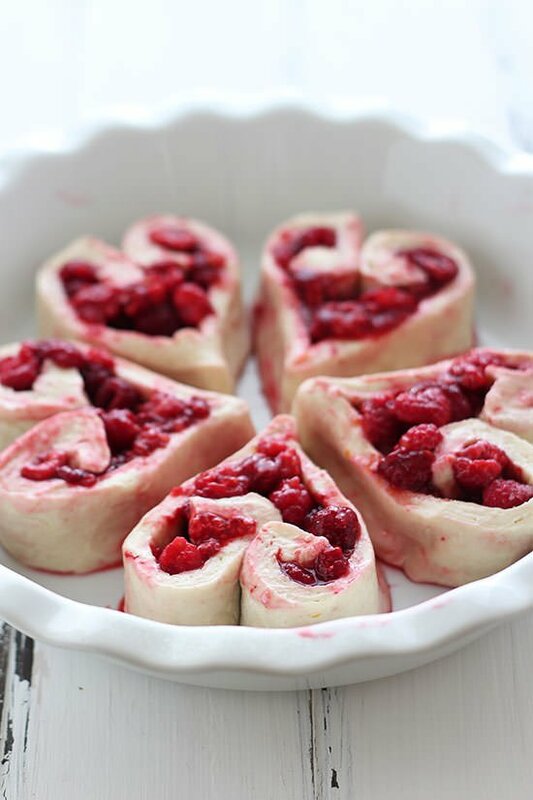 In less than an hour, you can make these mouthwatering Heart Shaped Raspberry Rolls. Get the recipe here from Imperial Rolls with a review by Handle the Heat here. 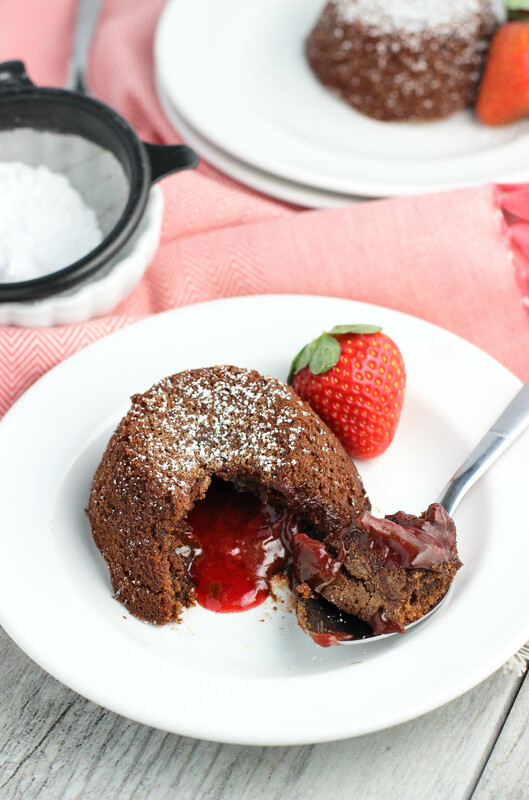 Dazzle your love with these Mini Chocolate Strawberry Lava Cakes. You just might be tempted to skip dinner altogether and go for this scrumptious dessert! Find the recipe here from My Sequined Life. Be sure to share your favorite Valentine’s Day recipes with us in the comments below! Don’t forget to share your photos with us by posting onto our Facebook page or using the hashtag #CelebratingWithMollies on Instagram or Twitter.